Join Thames Chase for a guided walk to Havering County Park from Bedfords Park. 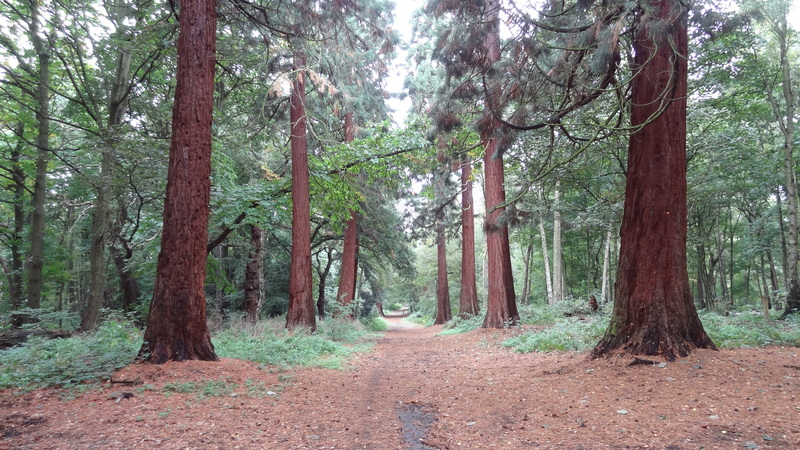 Havering Country Park is over 100 acres of mixed woodlands and meadows and is famous for its avenue of Wellingtonia trees (Giant Redwoods). The park was formerly part of the Havering Palace estate, a royal residence until the 17th century. Bedfords Park is a local nature reserve with over 200 acres of mature woodlands and meadows. There are wonderful views across Havering to London. The park has a herd of red deer and a herd of Red Poll cattle to help manage the meadows. There is a walled garden and an Essex Wildlife Trust visitor centre. The walk is around 4.5 miles and can be muddy in places after prolonged rainfall. Sturdy walking shoes or boots are recommended.